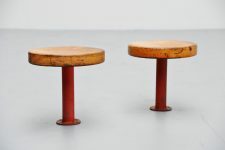 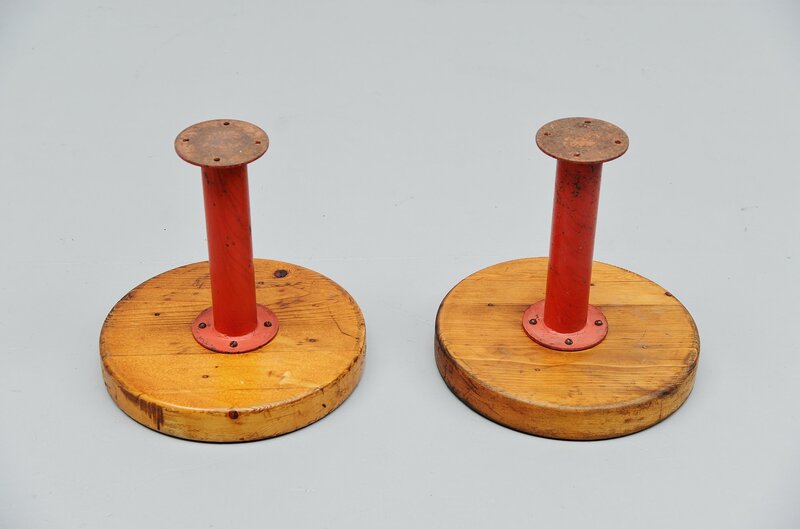 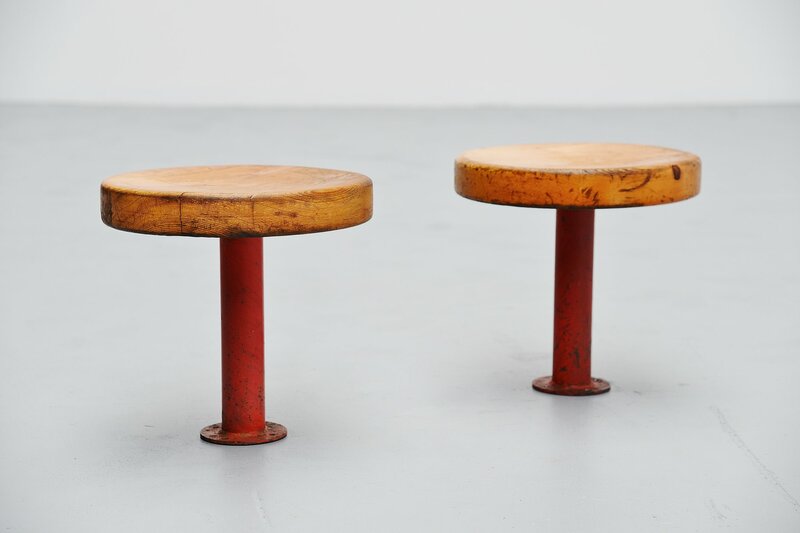 Fantastic pair of stools designed and manufactured by Charlotte Perriand for Ski Resort Les Arcs Savoie, France 1968. 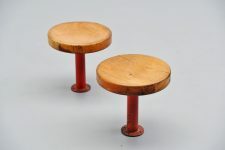 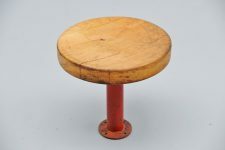 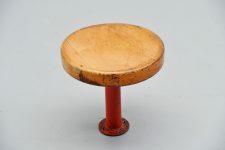 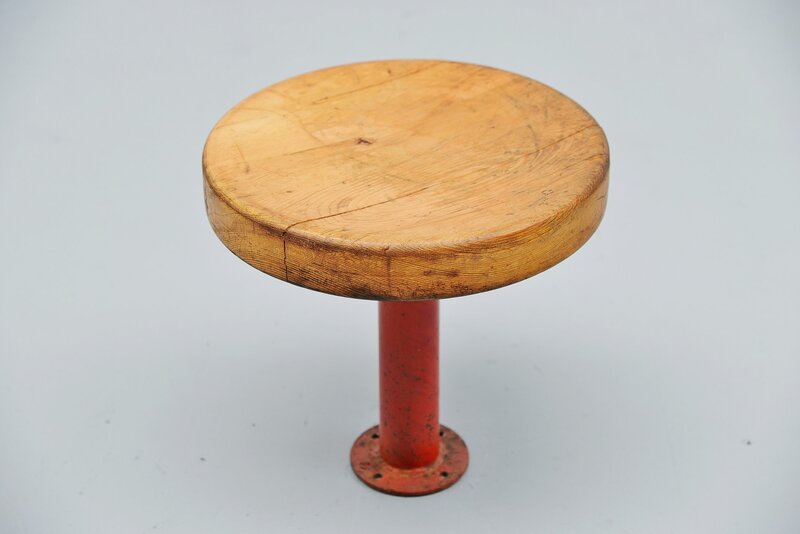 The stools were attached to the floor because of the kids running around in the resort, the have a red painted base and a pine wooden seat. 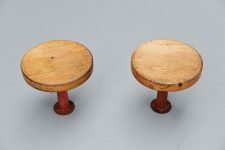 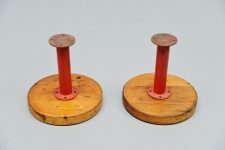 Typical connected round crafted pine wooden seats. 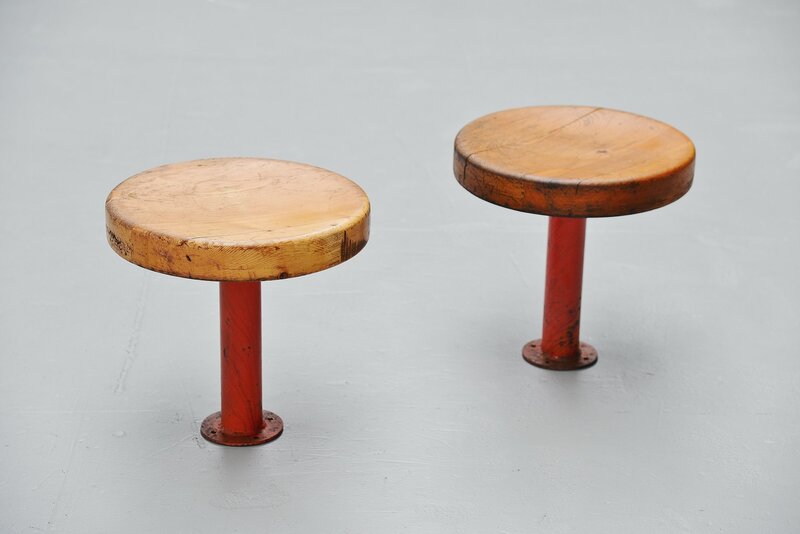 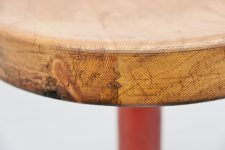 The stools are in original condition and have a nice patina from age and usage. 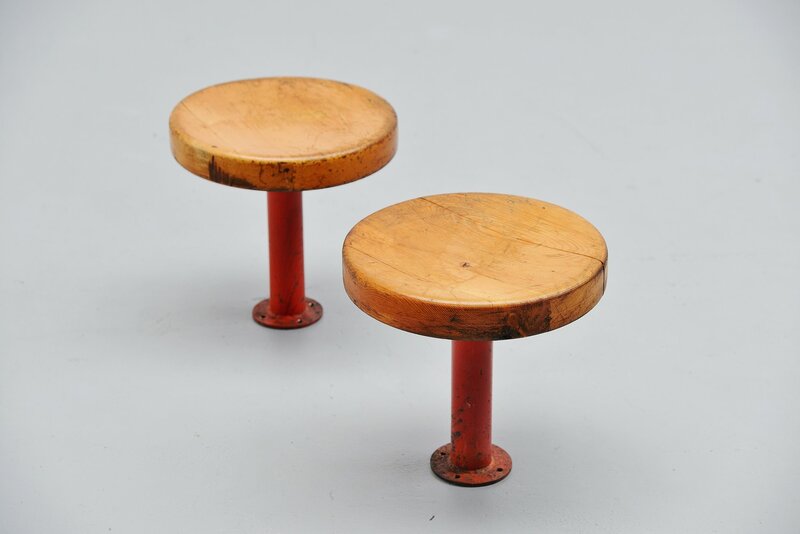 Hard to find stools by Perriand.